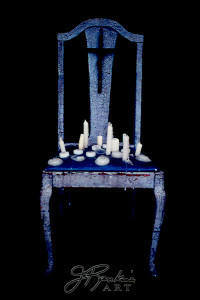 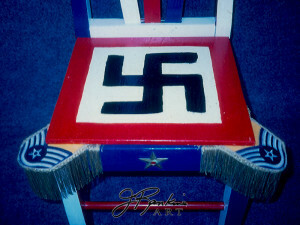 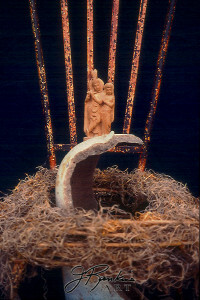 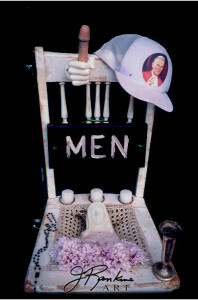 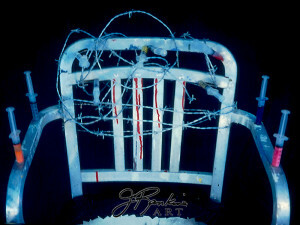 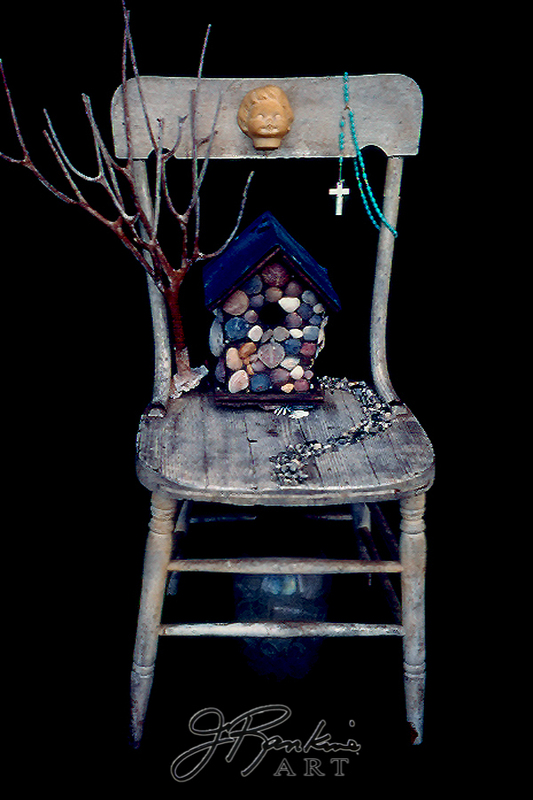 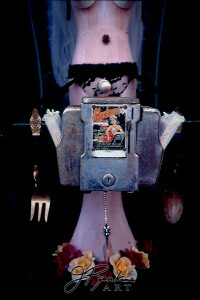 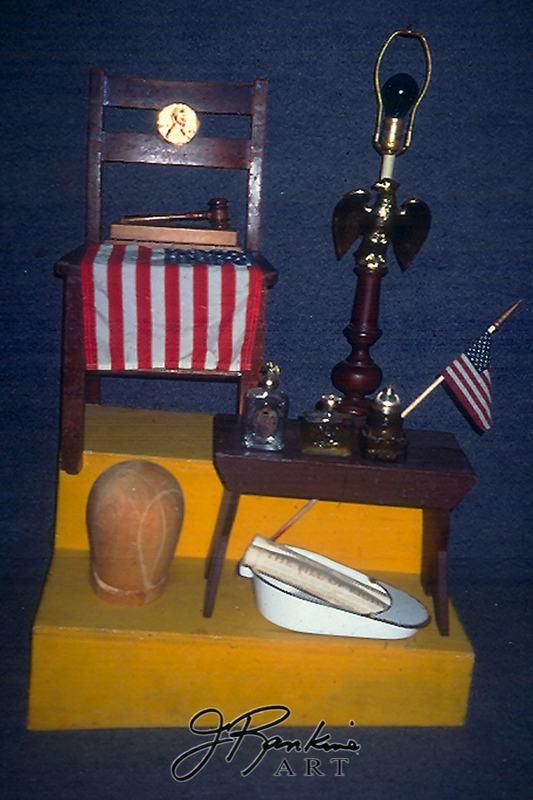 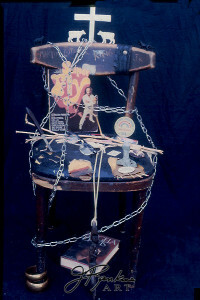 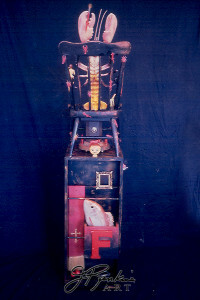 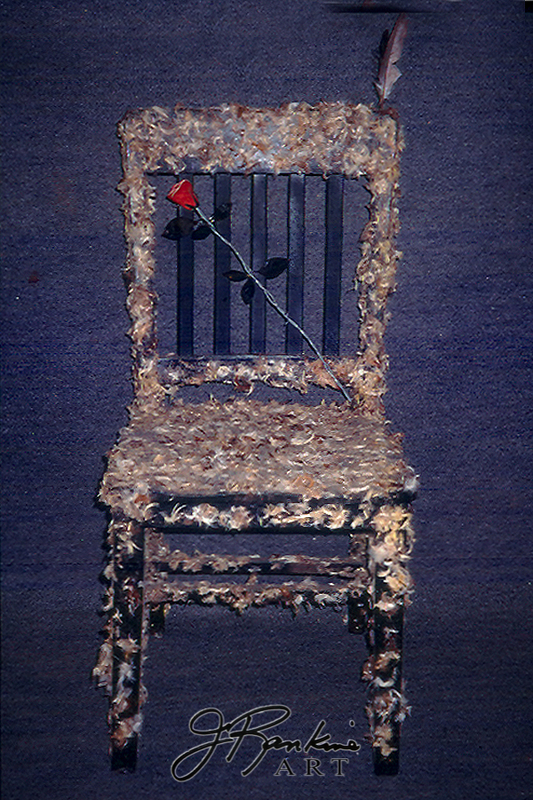 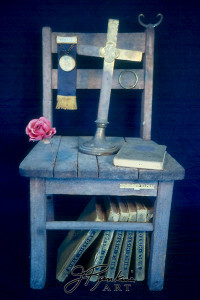 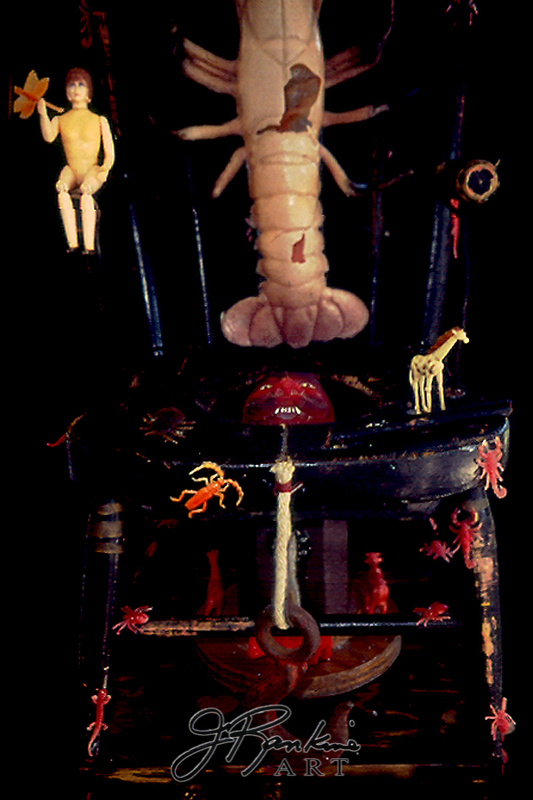 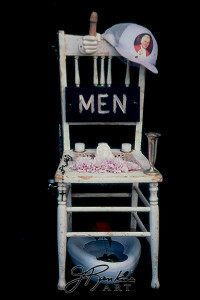 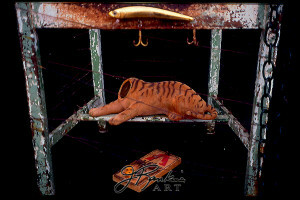 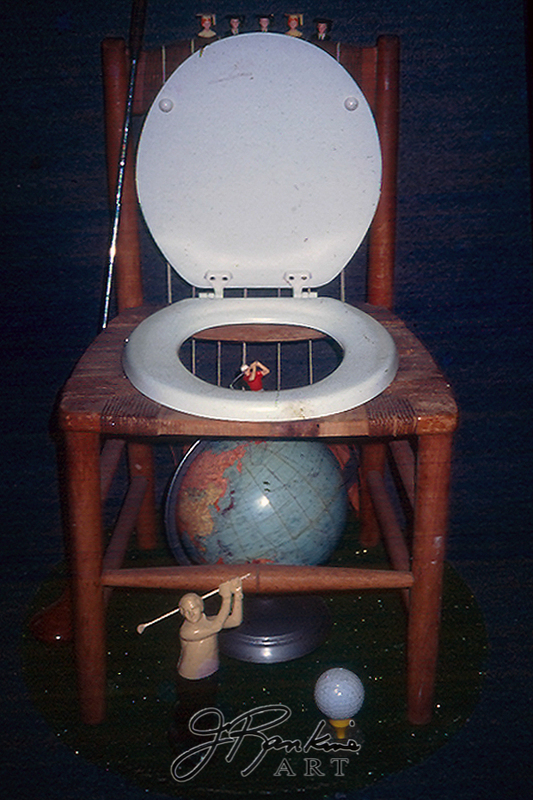 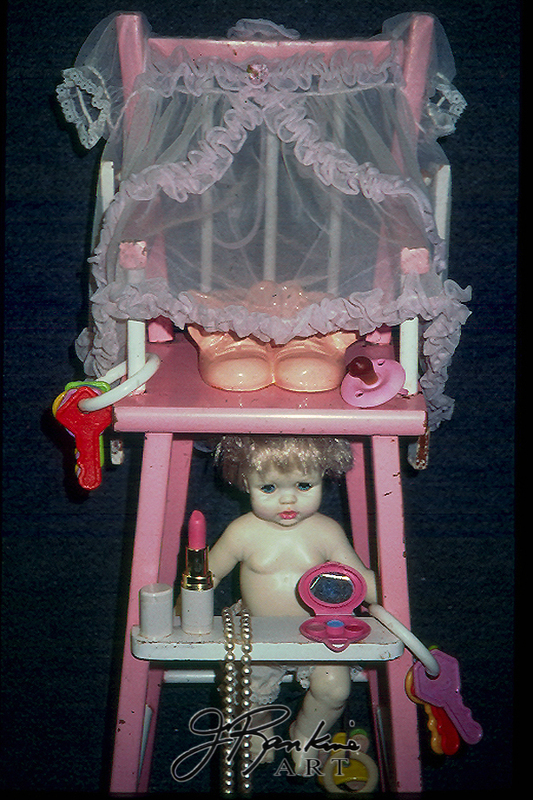 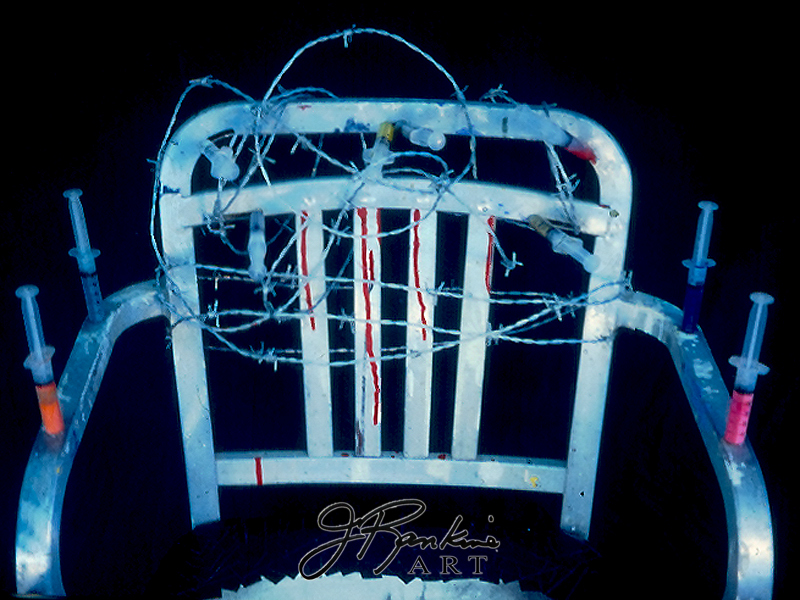 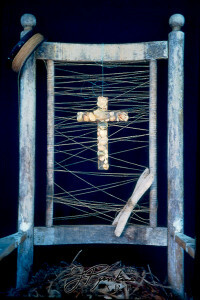 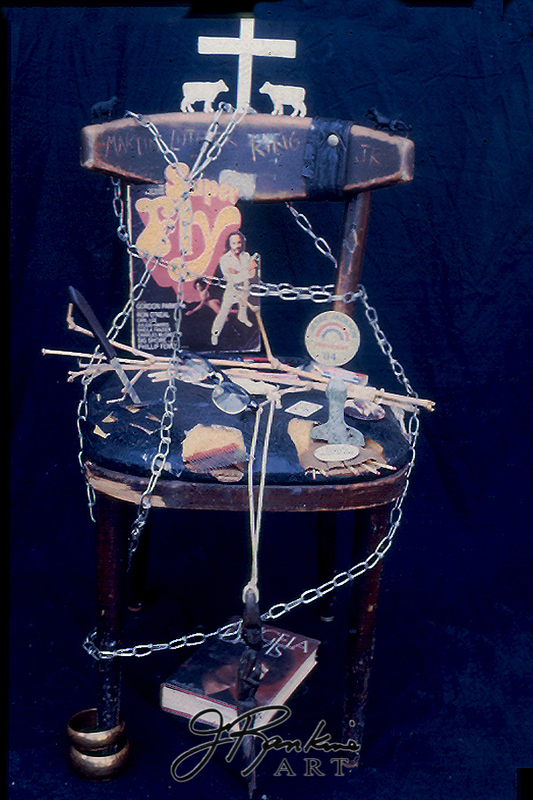 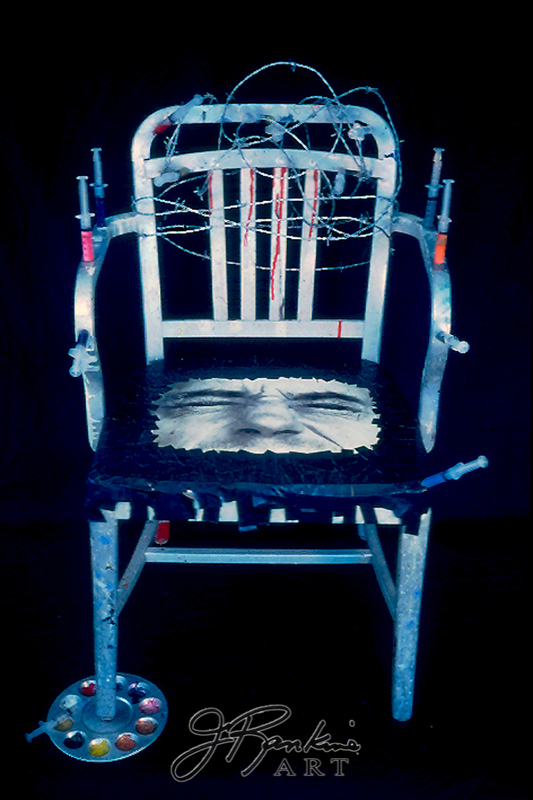 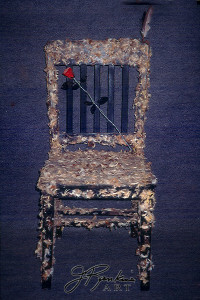 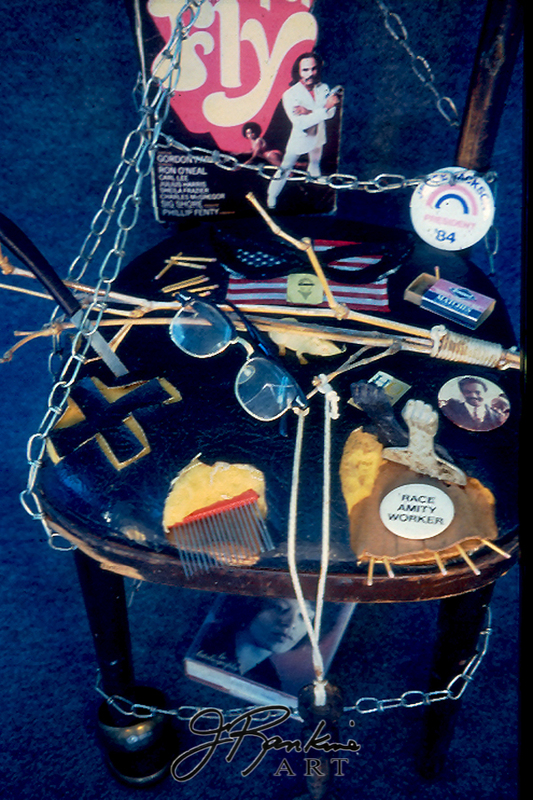 “The Chair Series” was my first foray into found object assemblage. 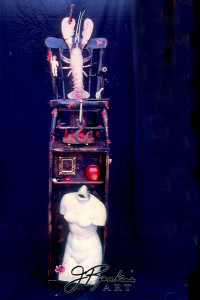 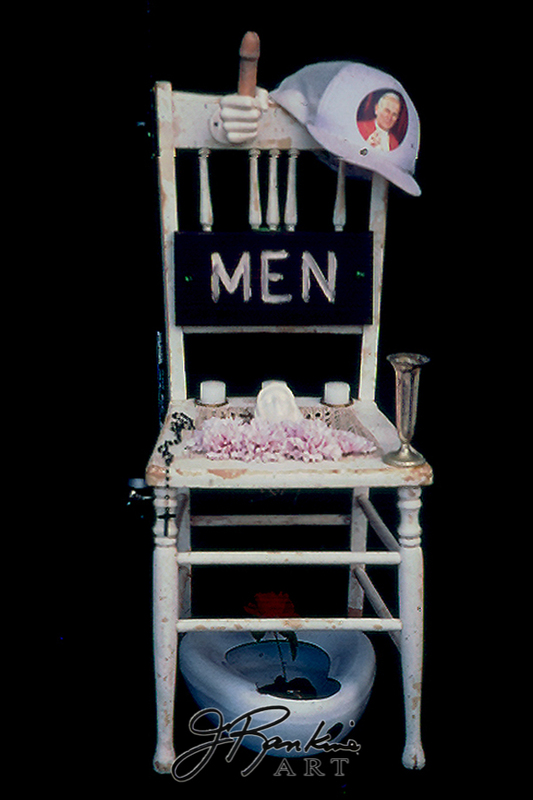 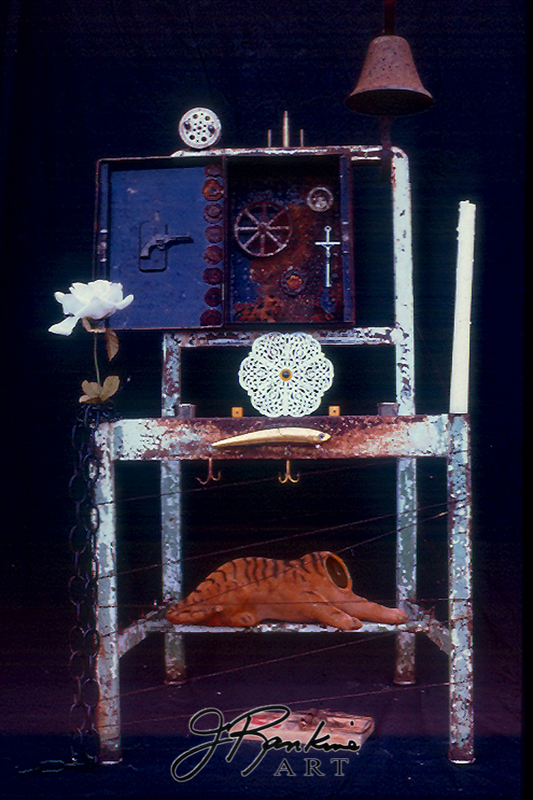 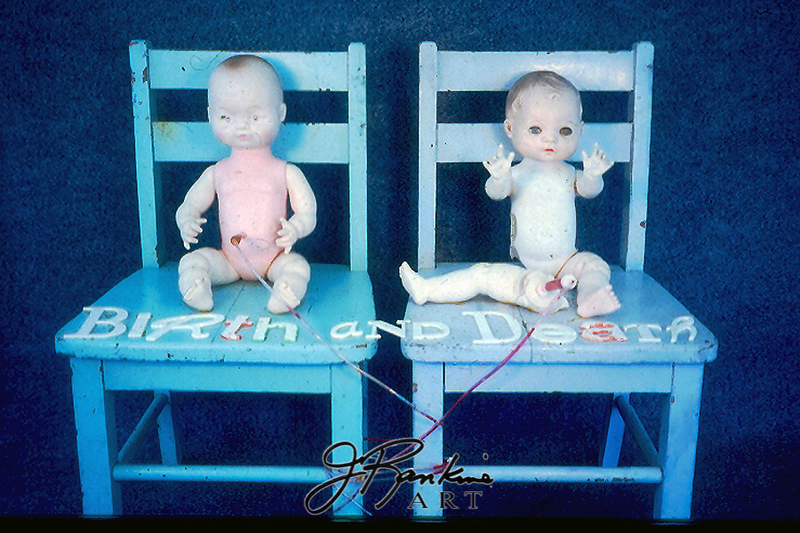 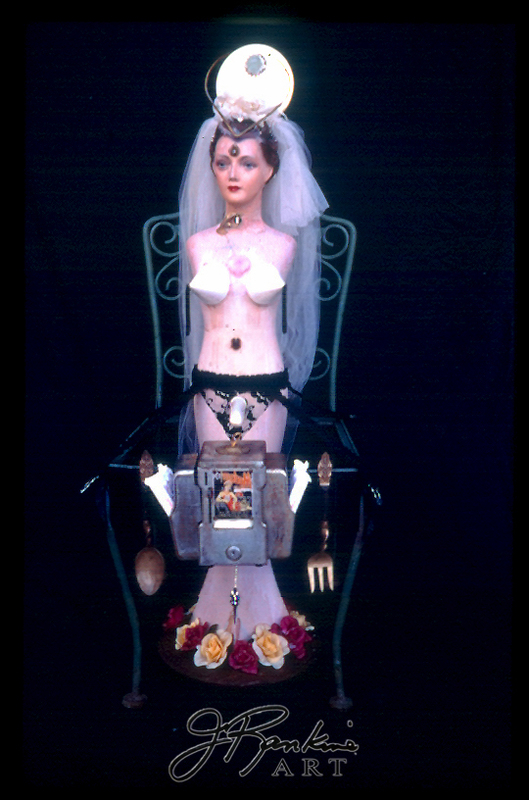 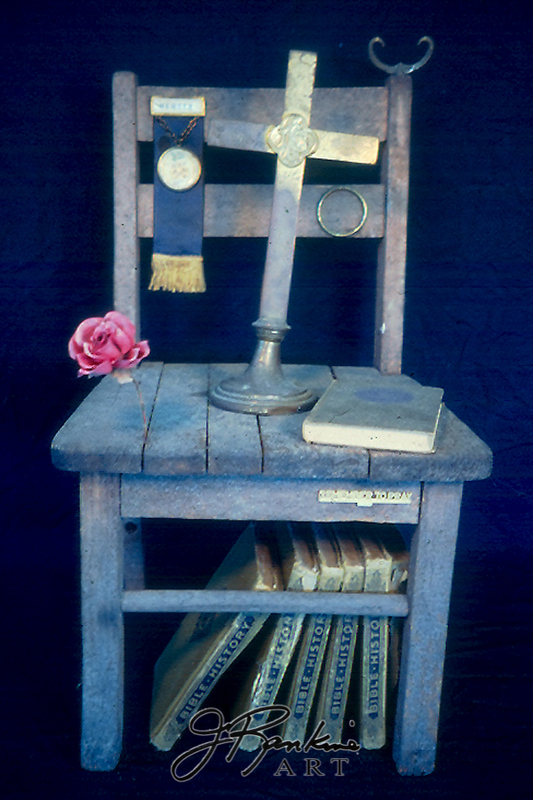 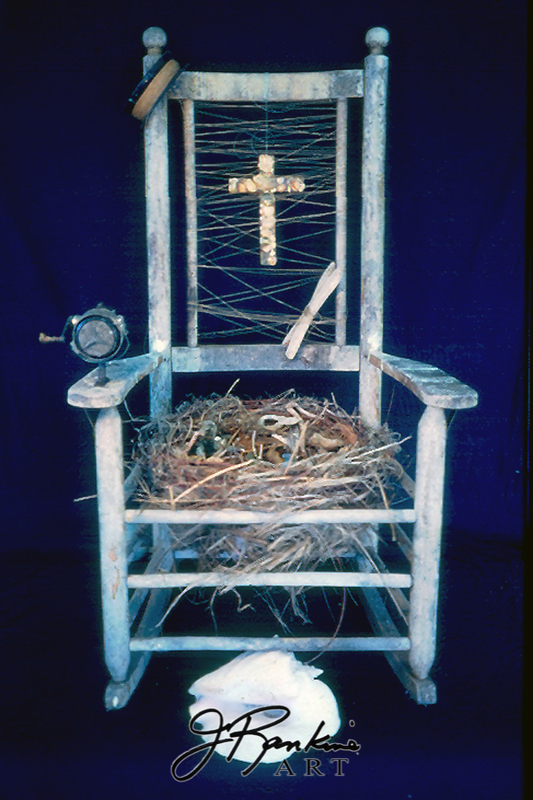 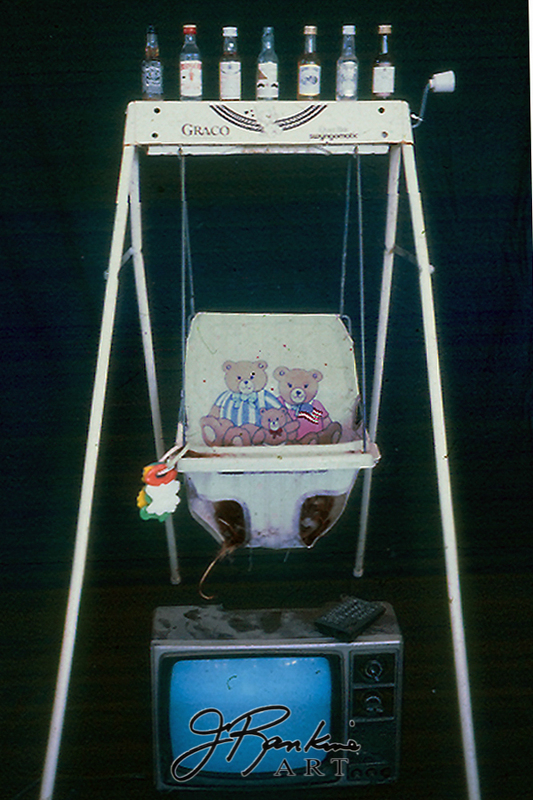 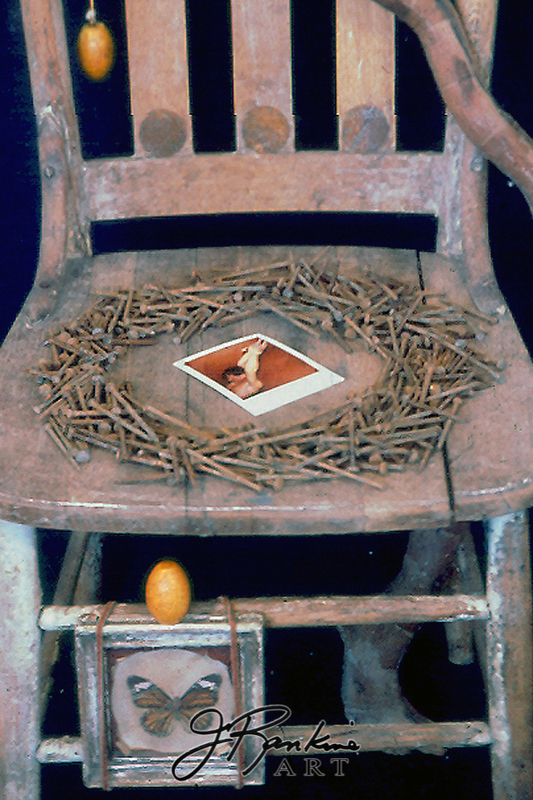 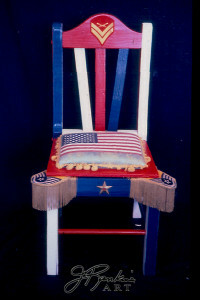 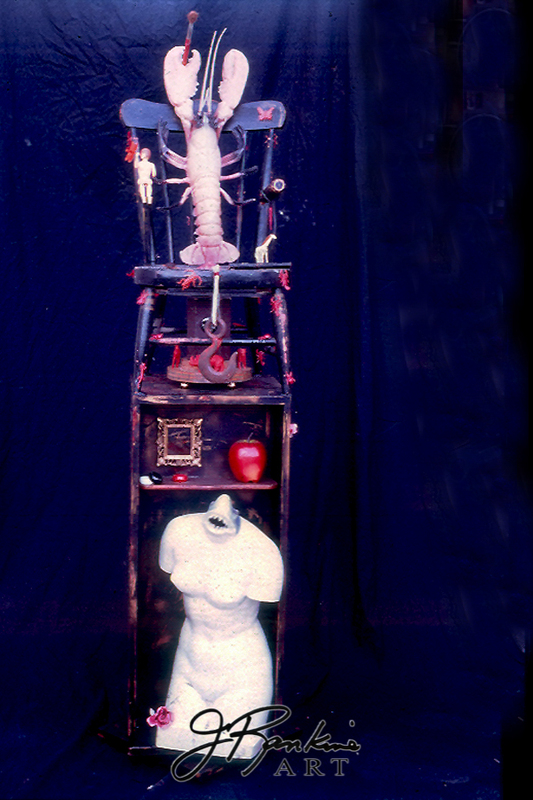 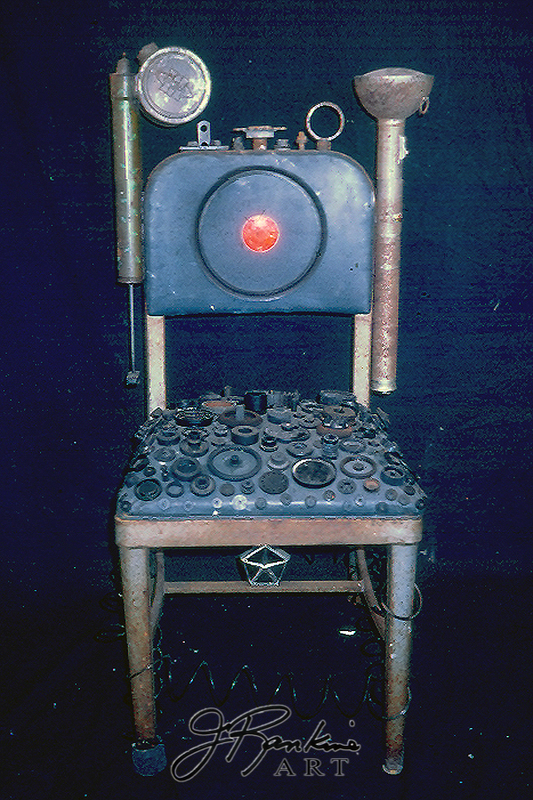 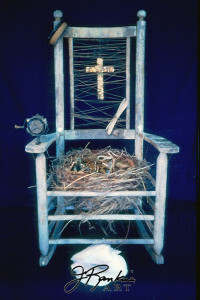 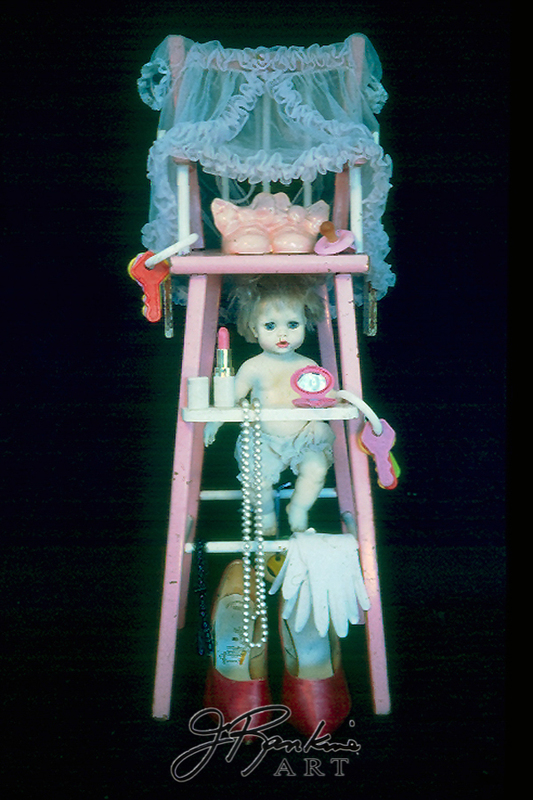 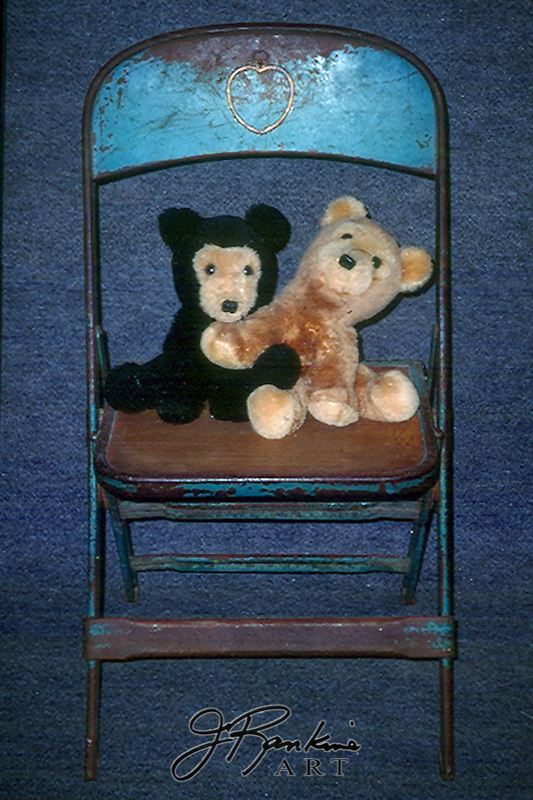 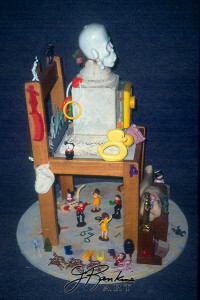 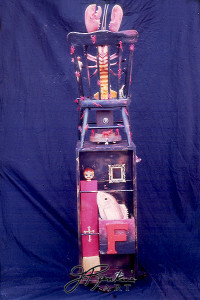 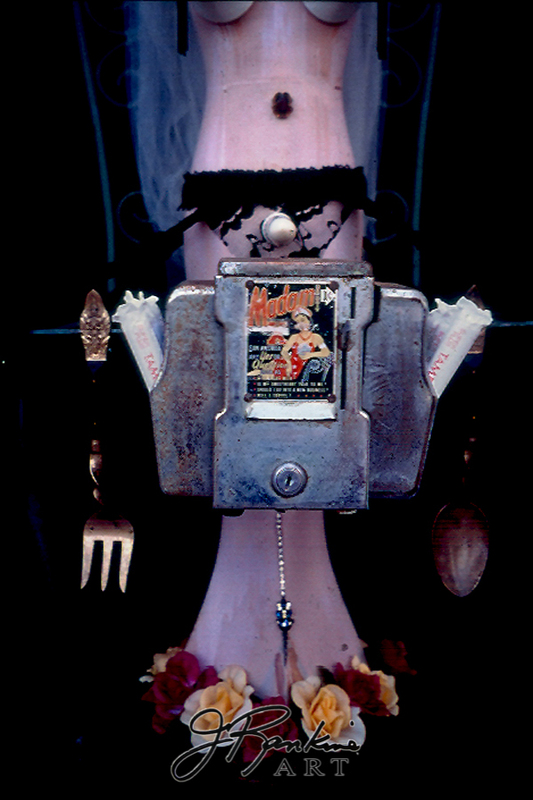 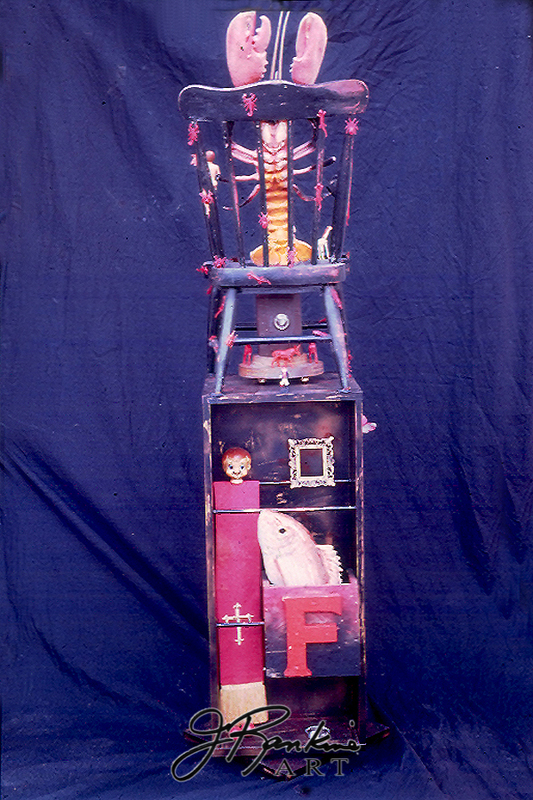 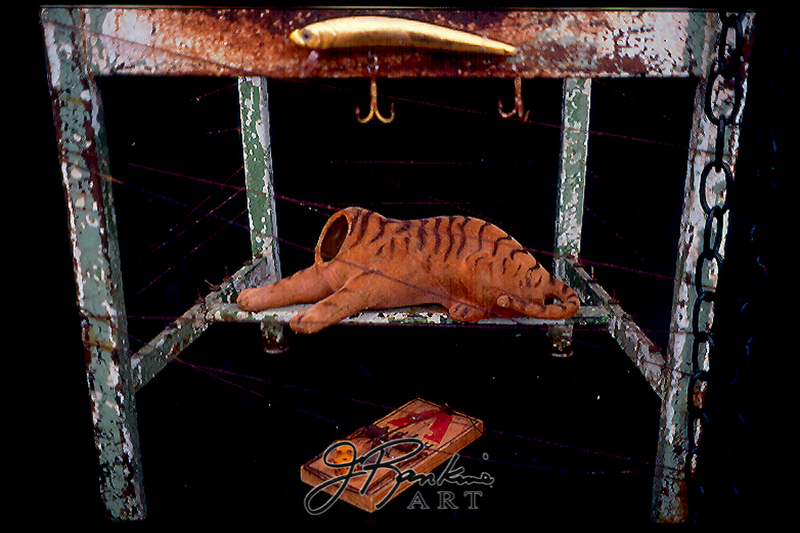 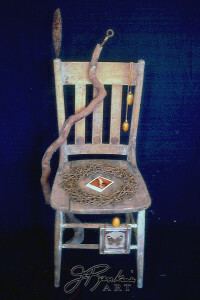 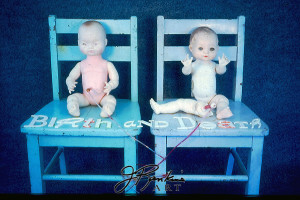 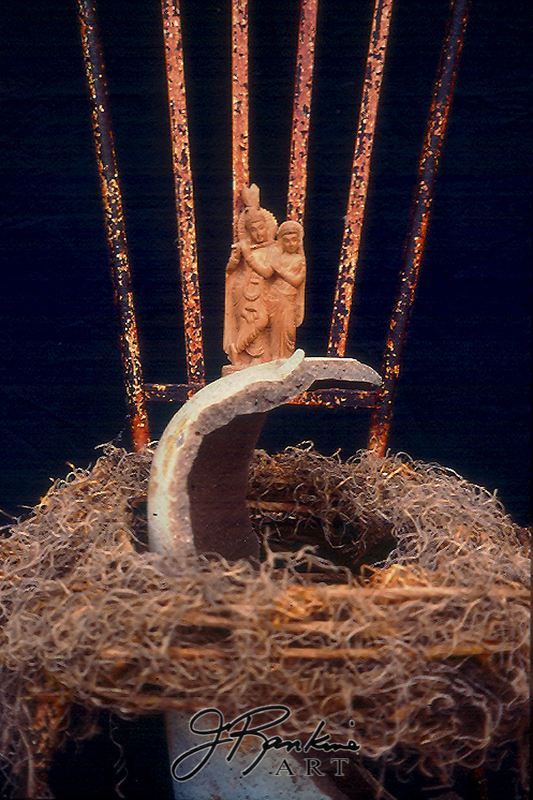 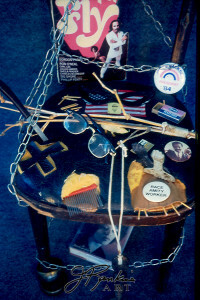 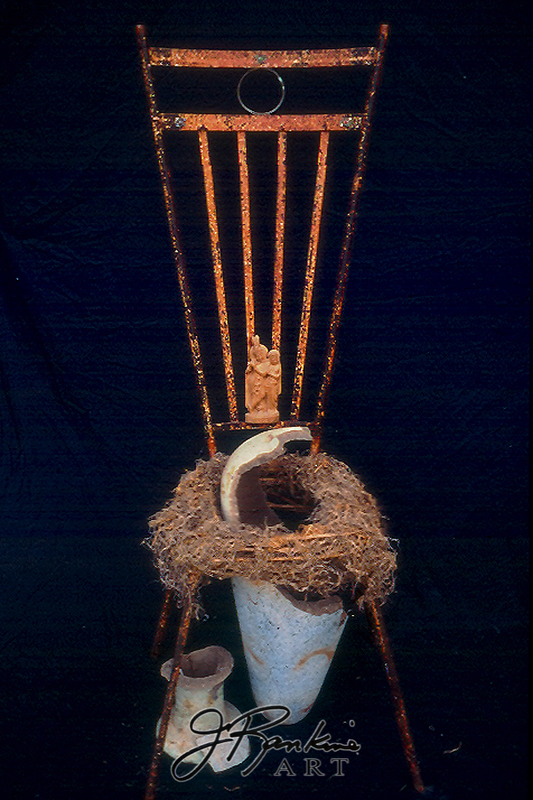 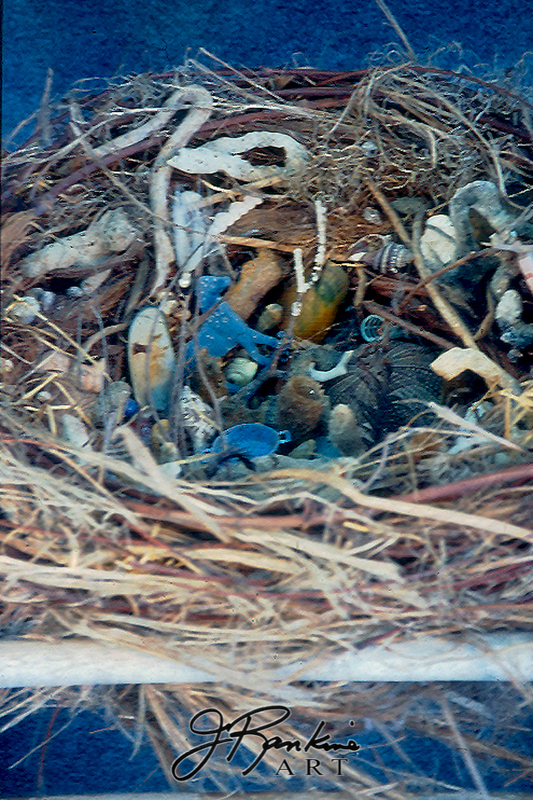 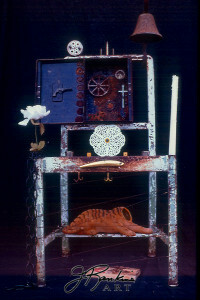 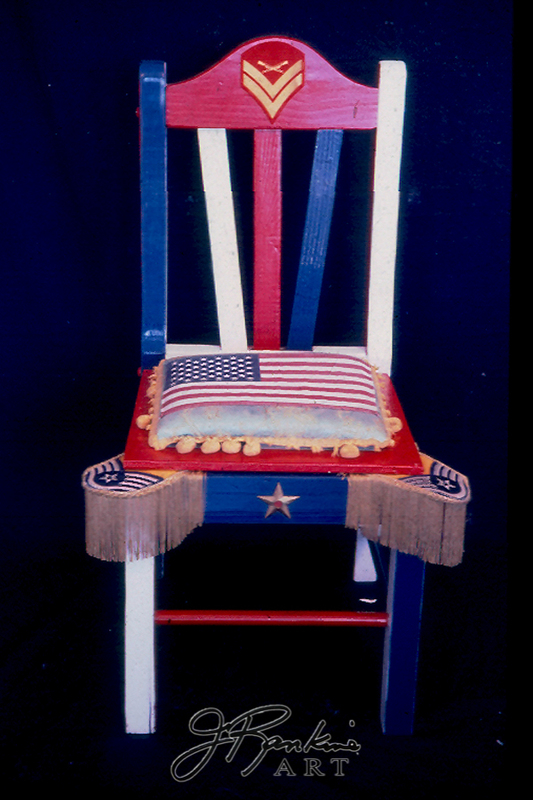 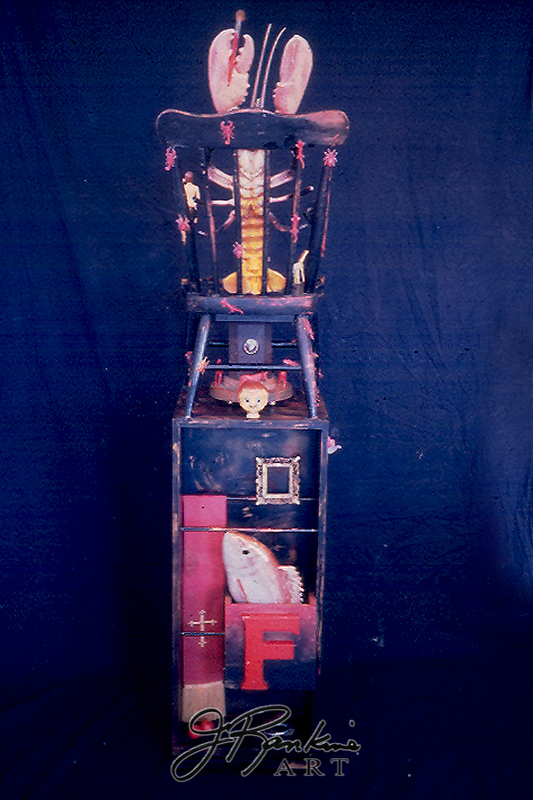 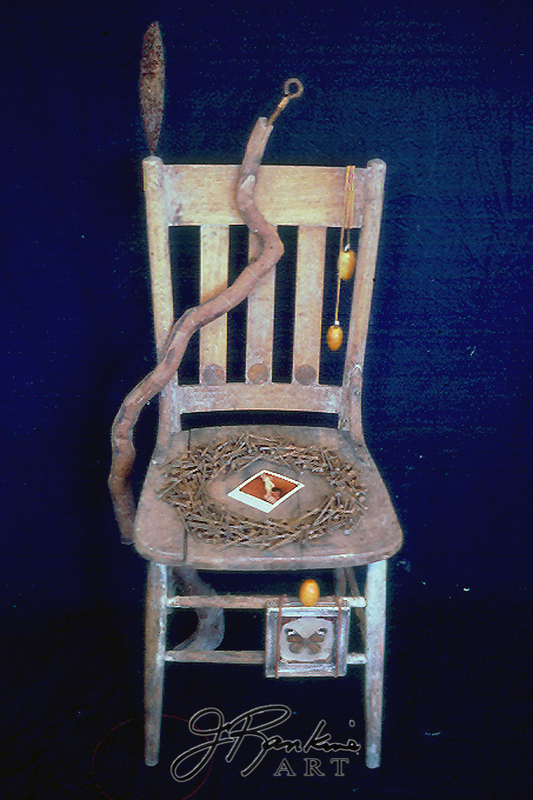 Settled in 1992 in my new, large studio at the Harris School in Key West, I compulsively collected objects, especially old chairs, found abandoned in the local streets. 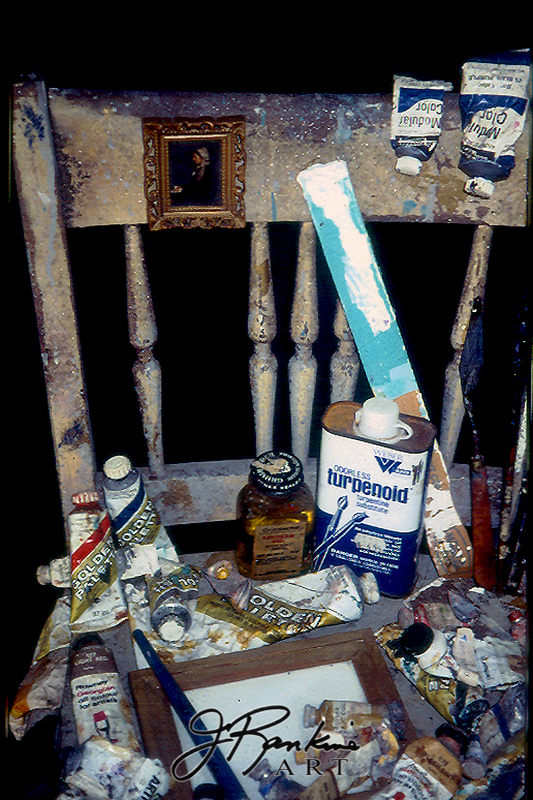 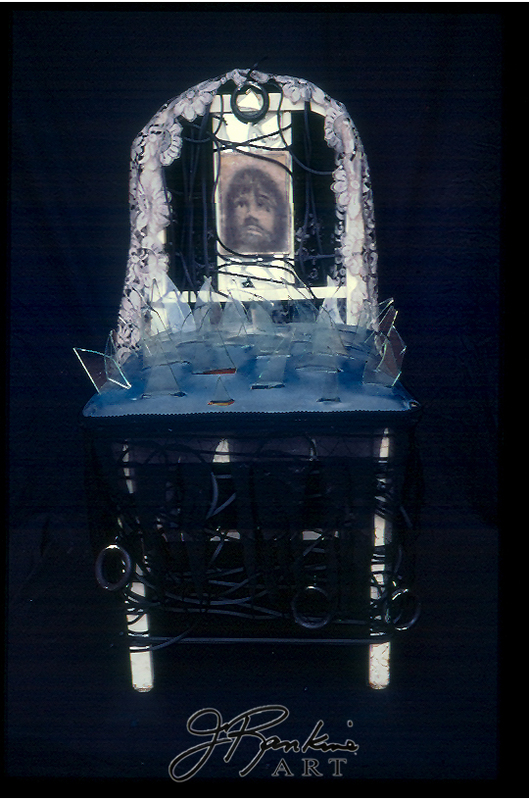 “Death of a Medium,” was the start of this symbolic journey – an old chair, a used palette, covered in dried up tubes of paint and brushes, a small framed picture of Whistler’s Mother sitting, rocking, waiting to die, glued to the top left corner. 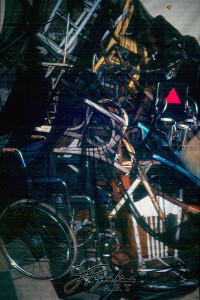 It was the passion and permission to give up painting and print-making and explore a new medium. 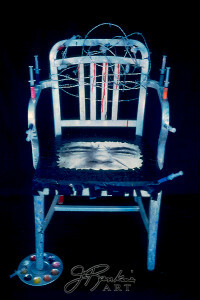 The result: a large installation dealing with personal, social and political issues of the day. 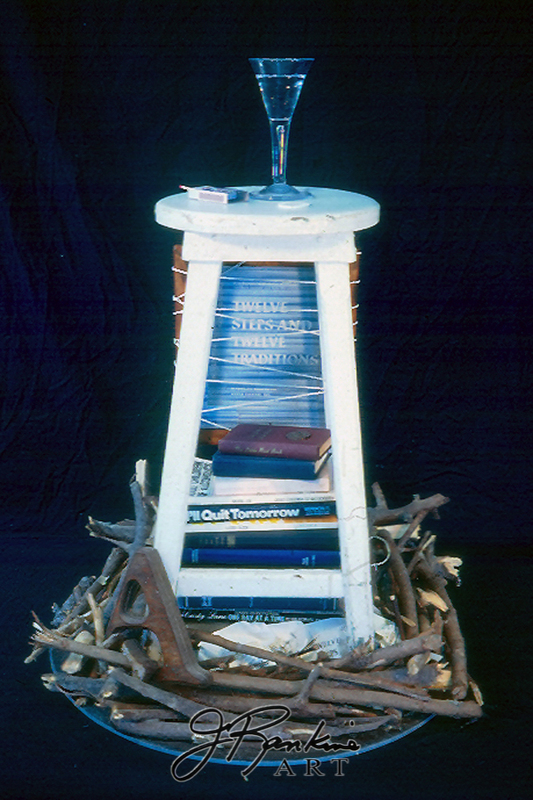 A year-long creative process culminated in 35 separate, yet collective pieces. 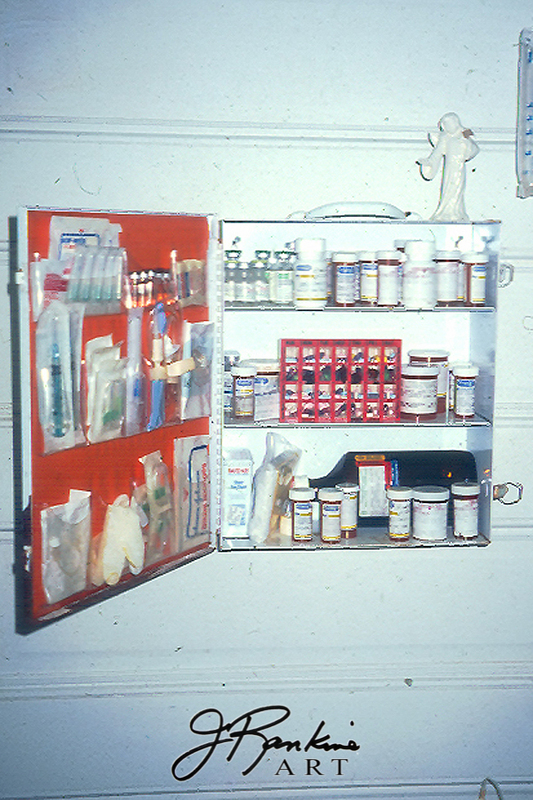 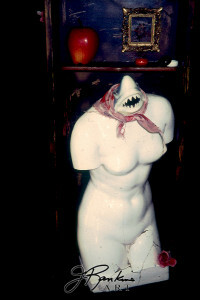 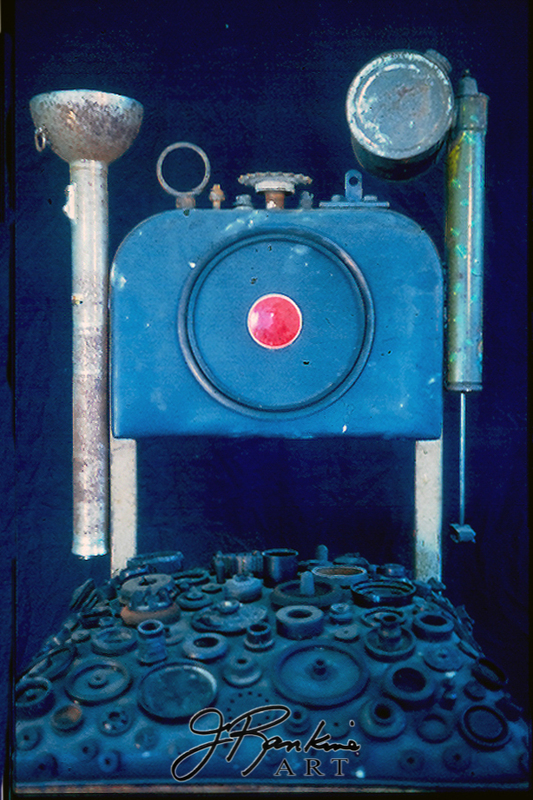 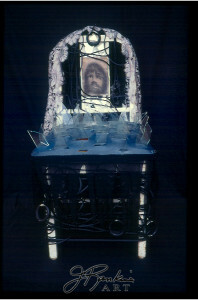 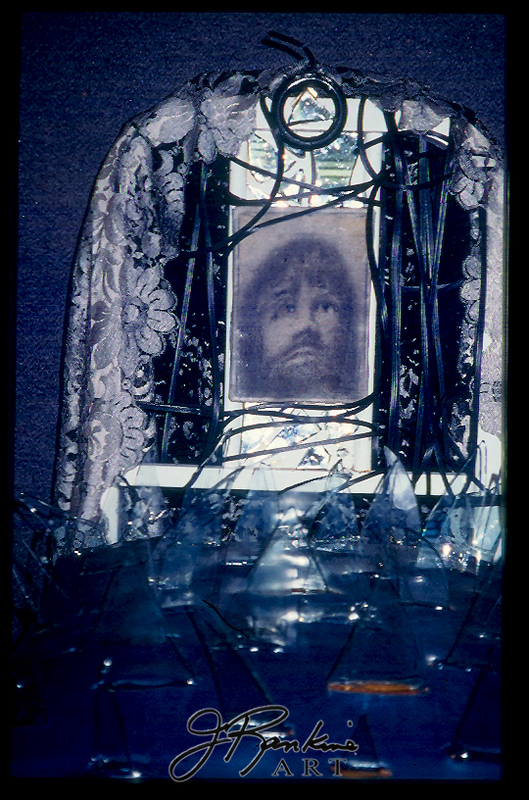 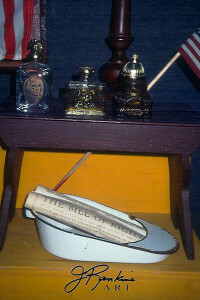 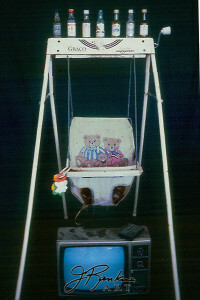 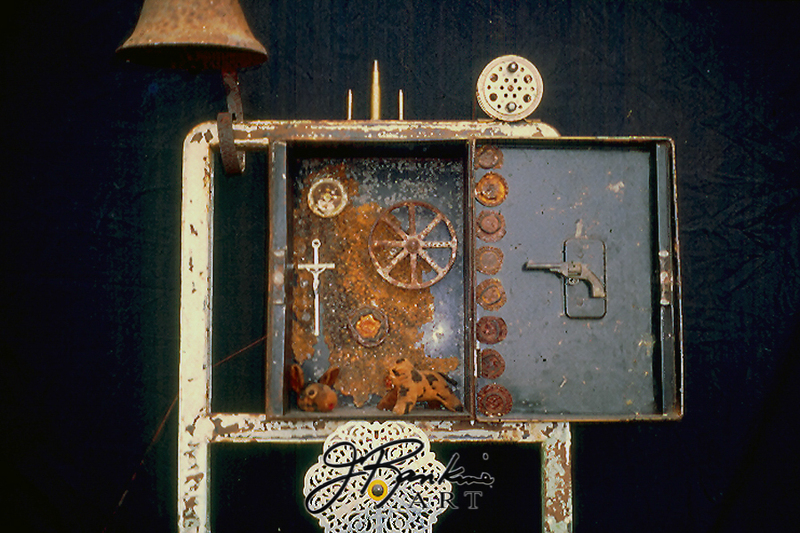 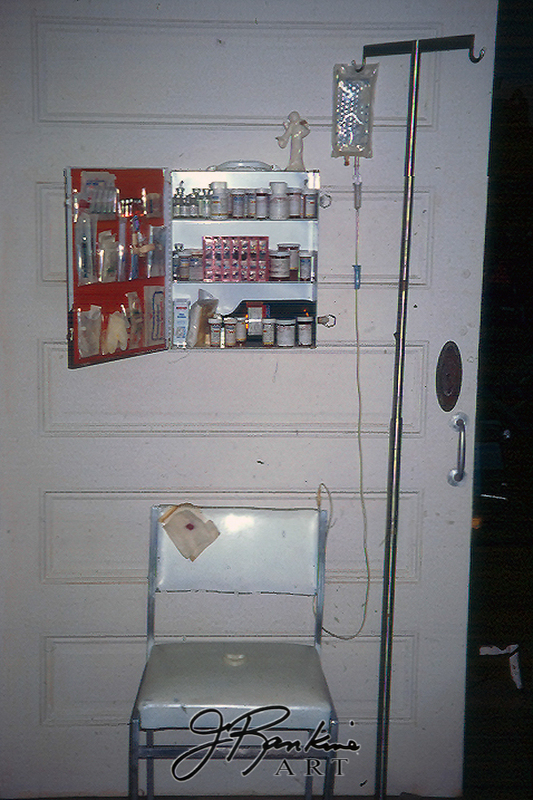 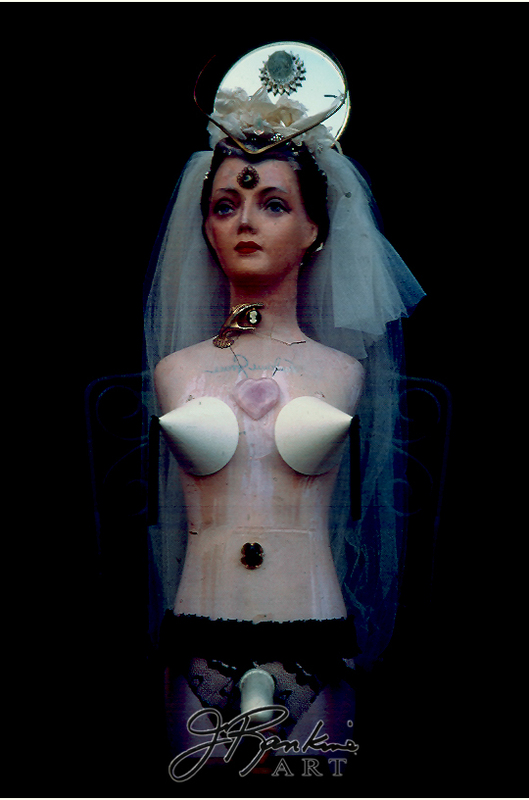 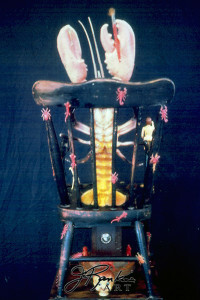 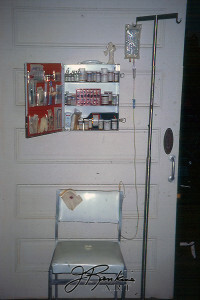 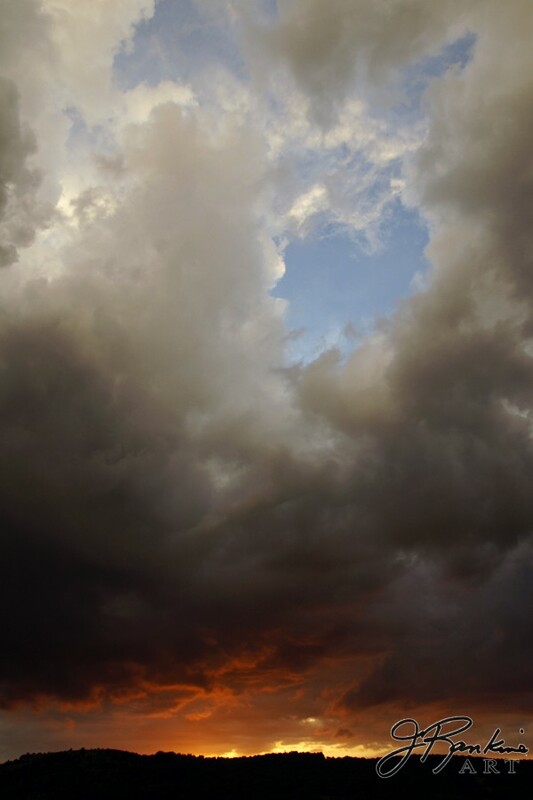 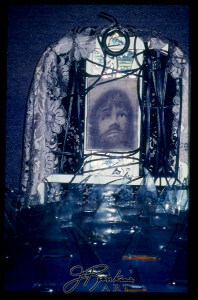 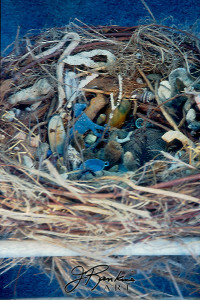 The installation was shown at the Harris School Studio in Key West, Fl. 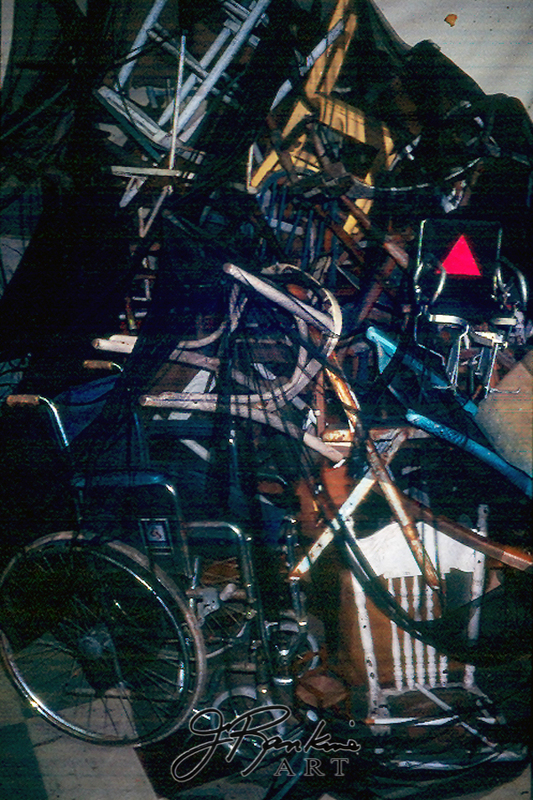 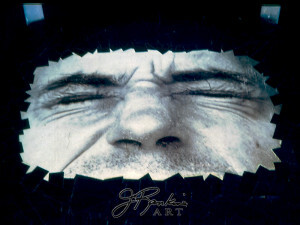 in 1993. 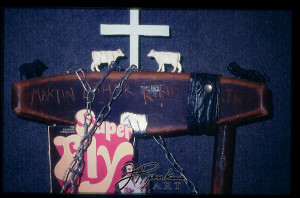 Several individual pieces were later shown at Lucky Street Gallery on Duval St.